After graduating from high school in Ithaca, NY, Bob attended college at St. Lawrence University, where he was Student Government President and Battalion Commander of the school’s ROTC unit. He was also a student athlete, competing in varsity soccer and track. Robert Brewer Military ServiceUpon his college graduation, he was commissioned a 2nd Lt. in the U.S. Army, successfully completing Ranger and Airborne training. At the age of 24, he became a Company Commander, in the 8th Infantry Division, in Mainz, Germany. He then served in Viet Nam for 15 months as an Advisor to the Vietnamese Airborne Division, in combat in both Cambodia and South Viet Nam, and Operations Officer with MACSOG. For his combat service in Viet Nam he was awarded the Silver Star, 2 Bronze Stars, 2 Air medals (one for Valor), the Joint Service Commendation Medal and various Vietnamese medals for valor. Bob remained in the Army Reserves for four years after leaving active duty, serving in the Special Forces Unit in San Diego, and at the 63rd ARCOM HQs, Los Angeles. After his military service, Bob graduated from the University of San Diego Law School in 1975, where he received a coveted Advocacy Award. He spent his summers during law school clerking at the San Diego District Attorney’s Office, the San Diego City Attorney’s Office and the Los Angeles District Attorney’s Office. Bob was a respected prosecutor in Los Angeles for seven years, serving as a Deputy District Attorney and as an Assistant U.S. Attorney – including as Assistant Chief of the Criminal Division – prosecuting cases involving espionage, bank robberies, smuggling, narcotics, murder for hire and civil rights violations. Moving back to San Diego in 1982, he entered private law practice specializing in a variety of civil litigation and white collar defense areas including government investigations, fraud, business and commercial torts, health care and intellectual property disputes. He co-founded the San Diego law firm of Chapin & Brewer in 1987, served as the Managing Partner of the San Diego office of McKenna & Cuneo from 1991-2008, and most recently was the Partner in Charge of the San Diego office of the international law firm Jones Day. 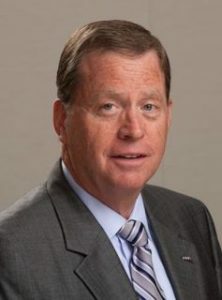 In 1998, he was designated a Fellow of the American College of Trial Lawyers (restricted to 1% of a state’s lawyers) and, in 2008, was awarded the San Diego County Bar Association’s Daniel T. Broderick Award for Civility and Ethics. He has been recognized in several categories by Best Lawyers in America continuously since 1996. Bob has been an active member of the San Diego community. He served on the Board of the San Diego Humane Society for seven years, has been a “puppy raiser” and donor with Canine Companions for Independence for eleven years, has been a Red Cross volunteer and, for the past nine years, has been a member of the Partnership Council of the San Diego American Cancer Society. Bob lives in Del Mar with his wife, Irma Gonzalez. They have a daughter and son-in-law and two granddaughters. This entry was posted on May 10, 2014 by administrator. Why are you and your PAC smearing Mary England for the La Mesa City Council? This is a part time position with no real relevance to you or your PAC. In fact, Mary was endorsed by both the La Mesa Police Officer’s Association and the Fire Dept Group. Mary has had a great record in Lemon Grove and by her lone vote stopped the sales tax increase in Lemon Grove and consistently voted against dipping into reserves after the recession years of 2010-11. You are distorting her record and all the good things she did for Lemon Grove including voting against employee pay raises. The only explanation is you owe the republican party a favor and need to pay them back for something to try and get Bill Baber elected since he has no record to run on himself. Mary has been a lifelong republican, a member of the Lincoln Club and supported the Republican party for many years including fundraising for candidates so this is an example of the republican party eating its own which is why I no longer support the republican party. Shame on you and your PAC for running his smear campaign.